This post will tackle a rather common problem with the Samsung Galaxy S3--unable to send and receive text messages (SMS). Before jumping into the troubleshooting procedure, possible causes will be presented so you'll an idea what may have caused the problem so that the next time it occurs, you'll know what to do. · No signal or service available. · Airplane mode is active. · Incorrect SIM card being used. · Preferred Roaming List is not up to date. · The Message center number for your network has been removed in the Messaging settings. 1. Please verify your account is in good standing. 2. Verify you are receiving adequate signal (a minimum of two or three bars of signal). If you never received signal/service on your device, please contact your service provider to verify your account is provisioned correctly. 3. If the issue is restricted to a certain location, please check with your service provider for coverage in the area where you are experiencing signal loss. 5. If your device uses a SIM card, ensure the card is installed correctly and is not damaged. Also verify you are using the correct SIM card from your service provider. 6. Verify you are using the default messaging app on the device, and not a third-party application. 7. Check for any available software updates for your device at Samsung Support. 8. Verify there is a number in the settings of Messaging, under Message center. 9. Verify Airplane mode is not active on the device by pressing and holding the Power button for one or two seconds. If Airplane mode is not active, you will see Airplane mode is OFF. Otherwise, touch Airplane mode to disable this feature. 10. To re-establish a connection with the mobile network, with the device still on, remove the battery for 30 seconds. After the time has elapsed, replace the battery and power on the device. Wait a few seconds for the device to connect to the network. 11. 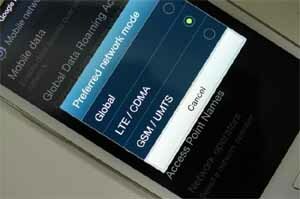 On select devices, the Preferred Roaming List (PRL) will need to be updated. Dial *228 and follow the voice prompts to update. 12. Compose a new text message and send it to your 11-digit mobile number (area code + mobile number). Note: On some occasions, such as when roaming internationally, it may be necessary to change the phone number format in the contact card by adding a +1 in front of the number. For example, +19725550123. Note: If you recently switched from an Apple iPhone to a Samsung device, it may be necessary to log out of iMessage.